This little cutie is headed to the Cayman Islands! It will be worn later this summer to a fairytale/fantasy themed wedding. Each year my children's school has career day. I think it's fun to talk about what I do so I go every year. I also make something for myself to wear, it's the only time I ever do. 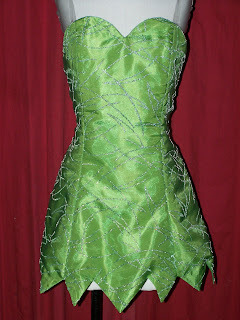 I think my project looks great on my dress form but sadly my body doesn't look like that. 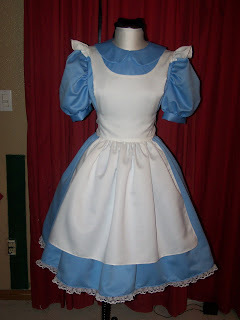 With the new movie and D!isneyl@nd fairy area there are far better reference photos available for this costume than before. 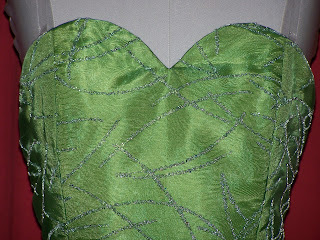 I thought the combination of fabrics did a decent job of recreating the leaf look of the costume I was copying.